A week after Gordon Sheddon's dramatic victories in the Honda Civic Type R at BTCC Croft, Honda Motor Company CEO, Takahiro Hachigo announced that the new Civic Type R, built in Britain, will be destined for customers in Japan. The first Civic Type Rs to be shipped from Honda of the UK Manufacturing (HUM) are due to arrive in Japanese showrooms from autumn this year. This follows the recent announcement of new investment at the plant of £200 million, with HUM becoming the global production hub for the next generation Civic five door model and is a further boost for the 3,000 associates working at the UK-based plant. Additionally, Honda is soon to start importing the HR-V which promises to be the most spacious and practical small 2WD SUV, as well as the third generation Honda Jazz, so will have a strong five model UK line-up of Jazz, HR-V, Civic 5-door, Civic Tourer and Civic Type-R. The first Civic Type R rolled off the production line at HUM last week and speaking at the start of mass production, HUM's Managing Director, Mr Takizawa commented, "The new Civic Type R is a significant model for Honda, representing our racing spirit and demonstrating our commitment to innovation and passion. 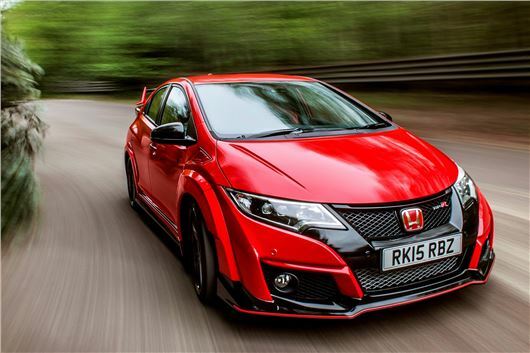 Here at HUM, we are extremely proud to be the only manufacturer of the Civic Type R in the world. Our high standards have earned us this privilege and this is testament to the continued commitment of our associates."